Depending on whether you are planning to work your way up the property ladder or planning to enjoy the renovations of your own home, it pays to consider any home renovation that will help to bolster the value of your property. This will ensure some of the best returns when you come to sell up and move on. Alternatively, if you are planning to reside in your property for many years to come, it is important to identify which renovations are necessary, and if they make economic sense. 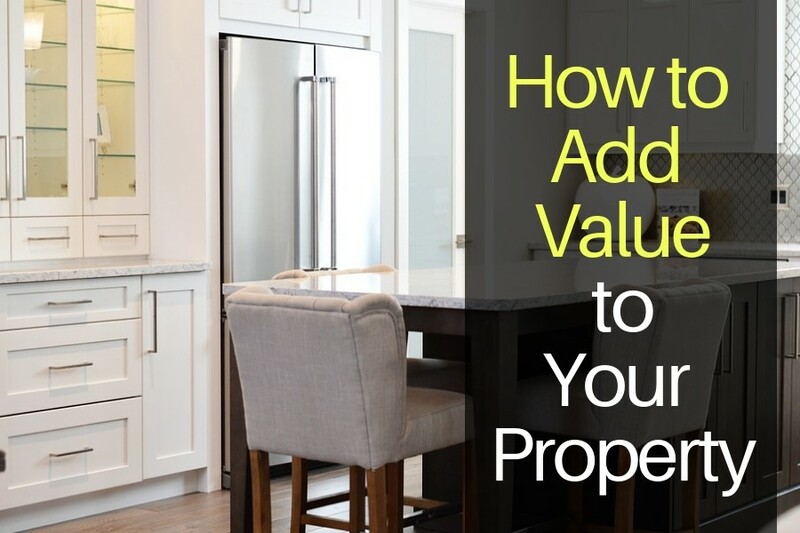 If you are looking to turn a profit when it comes to selling your home here is a quick rundown on how you can add value to your home. Fixing structural problems before focusing on any home improvements, repairs or redesigning is essential. There is no point in changing the aesthetic of the build through redecorating and changing flooring and walls if there are any existing defects structurally. Structurally, any defects are most likely to bear the biggest costs, but they are vital in terms of adding value. A warm cozy home is a selling point for anyone, particularly during cold winter months. Therefore adding or updating the central heating system will always add more value to the property. Central heating recently climbed to the top of a GoCompare report on what buyers look for most when viewing potential properties. Improving the overall energy efficiency of your house is a huge selling point for potential buyers. Sealing any drafts, replacing old windows and adding extra insulation are all ways in which to improve the efficiency of your home. Make sure your furnace is up-to-date, and clean, and that all of your air ducts are clean as well. This can maximize your potential for a quick sale. Quite often creating a task list is a fantastic way to make sure your property is in the best position to sell. Of course, little jobs here and there won’t directly affect the value of a property but may stop it from being sold at the absolute optimum price. Once all of the small jobs have been completed, the appeal stays strong. Paint scuffs, sticking doors, mouldy grout, loose tiles and cracks to ceilings or plaster work are all typical defects that will put potential buyers off. Choosing to easily resolve these issues ensures that buyers will view a well managed home. Replacing existing windows is not only important from an aesthetic point of view, but it also helps to create an energy efficient home. With that being said, new windows are considered an essential by most buyers and can often add a generous sum on top of the properties existing value. If windows need to be replaced it is important they fit in with current buildings regulations, so fitting double-glazed windows is now considered a requirement. Kitchens are often considered the heart of the home. They are a place to converse, relax and cook. However they need to be attractive and practical in order to be appealing to buyers. Before completely ripping out the old kitchen and making way for the new, you must decide on whether you want to make any structural changes or relocate it altogether. In order to secure a worthwhile modern investment many existing kitchens can be given an injection of modernization. New properties from property investment firms like RW Invest offer a diverse range of developments that aim to maximize returns through an elevated standard of living. If you are looking to venture into the world of property, it may be worth your while to consider property investments across numerous hotspots. NextCan Forex Trading Really Help Me Get Out of Debt?